We wonder if Conrad was there to witness Victoria and Pascal's touching moment. Despite plenty of attempts to take him down, Conrad Grayson remains a power to be respected in the Hamptons. 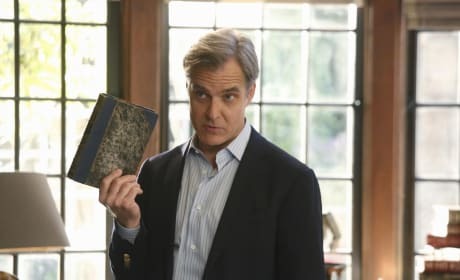 Is the book something Conrad and Emily can bond over now that she refuses to leave the Grayson mansion on Revenge? Do Conrad and Emily share a love of Poe's writings or is there something more going on here on Revenge? Conrad gives Emily a book of works from Edgar Allan Poe. What's his message there when he seems to be able to ignore his own telltale heart? 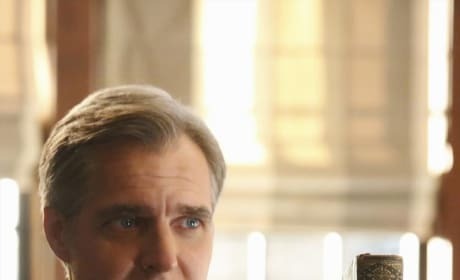 Conrad and Charlotte watch as Daniel gets married on Revenge. "Exodus" is the tenth episode of the show's third season. The parents of the groom attend Daniel's wedding on Revenge. 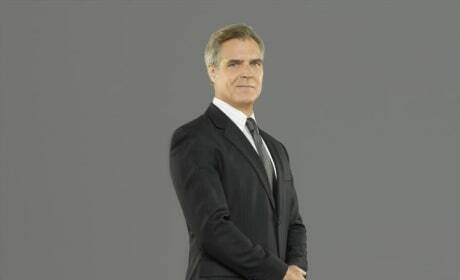 "Exodus" is the tenth episode of the show's third season. Emily shares her first dance with Conrad now that she's an official Grayson on Revenge. 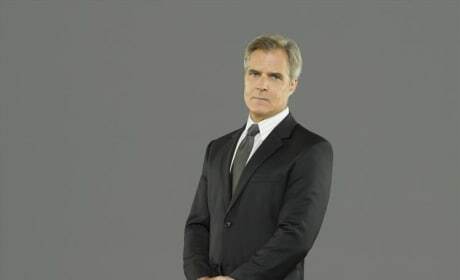 "Exodus" is the tenth episode of the show's third season. 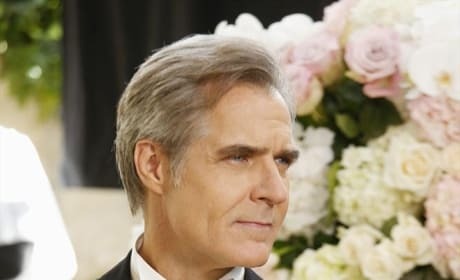 Conrad attends his son's wedding on Revenge. "Exodus" is the tenth episode of the show's third season. 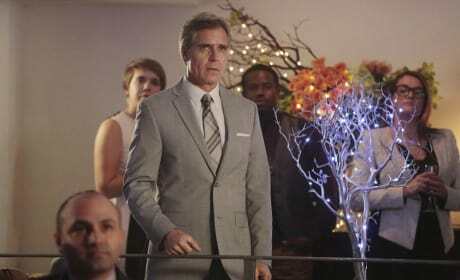 Ashley, Conrad and Daniel in a scene from the Revenge Season 2 finale, "Truth."